Why Use Call Tracking with Visual Visitor! Now that consumers are converting more by calling directly to the business, don’t you need a method to track, attribute, and be able to report on those calls? Visual Visitor believes that for our customers to have a complete picture of their marketing success, it requires not only the information on online conversions and visitors but also the offline call conversions. Still not sure whether Call Tracking is a fit for your business? 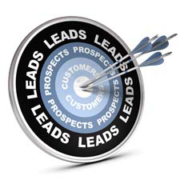 Would you like to produce higher quality leads? Did you know that inbound calls convert an average of 10-15 times more often that website leads? Why is that? Some say that it can be the “human” aspect of talking with a potential customer directly and answering their questions in real-time. Regardless, getting that call and knowing which advertising campaign prompted it can be a valuable nugget of knowledge to a salesperson. ** If you haven’t recognized the value that phone calls are bringing to your marketing campaigns, maybe it’s because you aren’t tracking them with Visual Visitor’s new feature… Call Tracking. Are you interested in knowing where your calls come from? 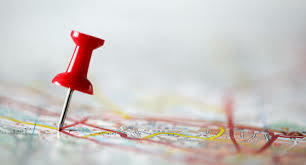 Knowing where your call traffic is coming from: paid, organic, referral; can make a difference in your marketing plan and those plans for future advertising. Using call tracking with Visual Visitor, your team will know based on the phone number called, exactly which advertising medium the call originated from. If you are running the latest version Visual Visitor’s installation code, you will have the option to configure “Dynamic Number Insertion” (DNI). DNI is a beneficial but straightforward option. It allows us to evaluate the source of the visitor and change the phone number displayed on your website accordingly. A great example of DNI is configuring a tracking phone number for Google Adwords. Once the phone number has been configured, any visitor that clicked on one of your Google Adword Ads will have your unique Google Adwords tracking phone number displayed on your website instead of your regular business number. Still have questions? Please click on the link below to view available Demo dates/times to learn more!